The longest serving coach of the Urbano Cairo era and only Toro trainer to complete two full seasons since Emiliano Mondonico left in 2000. In both campaigns ‘Ace’ has delivered the minimum goal: promotion to Serie A, followed by a (relatively) comfortable top-flight finish. The positives: the team has a set identity and almost always has a clear tactical plan. Against poorer sides, Ventura likes his sides to build play from the back, maintain possession and draw the opposition in. Against more technical players and quality teams, he relies more on a submissive, counter-attacking approach. There have been very few games over the two years where Toro have been either comprehensively outplayed or not in the match during the final stages. He has got the best out of almost all the players, often by virtue of having a block of players from his Pisa and Bari days, one of few coaches in Italian football to have a direct influence on the transfer policy. Team spirit is solid: rare have been fallings out, talk of a rotten spogliatoio - so common at the club over the past two decades – has never surfaced and the team possesses resilience, notable in the comeback from 3-0 down away at Fiorentina late in the season. The negatives: Not all the block of players Ventura has insisted on signing from his former clubs have been a success. The continued deployment of two – Riccardo Meggiorini and Salvatore Masiello – has bewildered many fans (more on those two in another section). Ventura must also take a share of the blame for the team’s inability to hold on to leads and the huge amount of goals conceded in the final 15 minutes of matches (lack of physical preparation, poor concentration or untimely substitutions?). The team’s results have also been kamikaze, demonstrating a tactical immaturity. The first half of the season saw a long unbeaten stretch away from home where the defence excelled and counterattacking football reaped rewards (albeit most results were draws). The team scored few goals, collected an unwanted amount of 0-0 scorelines and struggled to break down teams at home. Come the second half of the season, the team improved at home, playing entertaining football in a serious of schizophrenic matches (Siena and Napoli at home; Cagliari and Fiorentina away come to mind). A total of eight victories is relatively meagre as is the prolonged lack of success against a good team. The win over Lazio came against a depleted side playing with 10 men. The 16 draws are a European record the Granata share – fittingly – with Bordeaux. The side sometimes lacked conviction and confidence, respecting reputations too highly. His experiment at playing 3-5-2 in the final weeks of the season could be an interesting nod to a tactical change for next year. The 4-2-4 formation saw the side regularly overrun and become increasingly predictable to play against. Verdict: The next stage for the club is to settle itself as a top-flight side, finish in the top half of the table and experience no relegation worries. The pressure is more on Cairo & Petrachi to deliver a financial commitment and the right signings. Coaches tend to have a limited shelf-life in Italian football. I’d be happy to see Ventura stay providing he still feels in control of the ‘project’ and continues to have an influence on transfer policy. He deserves a third season. Another player Toro have courted since Ventura arrived this despite chronic injury problems that saw the former Bari man (another one) feature just eleven times in two years for Udinese and go the same period without a goal. Given a rare start in Udinese’s draw with Toro earlier in the season, he seemed light years away from being the player who shone at Treviso and under Ventura in Puglia. Toro were unperturbed and eventually acquired the aeroplane-fearing Brazilian in January with the 27-year old proving a veritable enigma. On the positive side, fears of recurrent injuries problems were dispelled – the striker missed just one match. The early impressions were positive: Barreto’s quick feet, interesting link-up play and hard work impressed. As the weeks rolled on his lack of confidence in front of goal proved increasingly crippling and his scruffy effort in the win over Napoli arrived in his tenth game for the club. After which, another two opportunistic goals suggested the real Barreto was back only for him to fade in the final weeks. My feeling is fatigue played a factor and given a healthy and full pre-season we could see Barreto return to form in 2013-14. At times he needs to be braver in challenges and impose himself on the game. A series of poor misses – a penchant for snatching at chances – suggest he still needs to rediscover his clinical touch. Verdict: The only forward certain to feature next season. Is the perfect second forward in Ventura’s counter-attacking system, a position he may challenge with Cerci next year. Interesting to see if he has the physicality and quality to play as a first striker. The telenovela of the season, Bianchi’s contractual situation dominated headlines and supporters thoughts. The end result was predictable, a loveless end to an unhappy marriage. I like Bianchi the man and in his five seasons with the club – a large part as captain – he has demonstrated a love and respect for the shirt, a sensitive understanding of Toro’s history and comported himself admirably. In the non-Ventura years, he was the fulcrum of the side, a scorer of regular goals for whom the side was constructed around. Never the quickest, but technically valid and potent in the air, he carried the team during the first few seasons back in Serie B. Enter Ventura in the summer of 2011 and Bianchi’s importance to the team diminished. His static play and desire for crosses into the box has never fitted with Ventura’s high pressing, speedy, counter-attacking style. Last year a measly eight goals in Serie B demonstrated that Bianchi was finding it tough. The club’s highest earner, he has been on the verge of leaving during the past few transfer windows although Toro have been reluctant to sell him to a direct rival. Any chance of a contract renewal has never been realistic, partly because of his large salary, mainly because he no longer fits the team’s system. I would like to thank Bianchi for his 77 goals and his contribution to the club but unlike my fellow Torino bloggers, I’m not too sad about his departure. At the very top level, he’s had at the most two prolific seasons and if the club are going to stick with Ventura it makes sense to change. What worries me more is if the club have the ability to bring in an upgrade. Verdict: Bianchi enjoyed a Hollywood ending with his goal against Catania and the ovation he deserved. 11 goals is also a decent return. Cairo and Petrachi need to demonstrate they can bring in one or two forwards of a higher quality. Good luck Rolly! Mmmmm. The jury is definitely out on this one. Signed from Pescara in January where after a decent season in Serie B with Brescia he stank the place out. Jonathas was something of a leftfield January signing. Perhaps acquired with the intention of having a targetman on the roster in anticipation of Bianchi’s departure, he is something of a mystery. Two goals, an opportunistic winner against Lazio and a neatly taken penalty at home to Napoli offered some positives. Only given one start, the Brazilian’s substitute appearances ranged from the awkward and confusing to effective. Not the quickest nor most technically comfortable, the club must decide how much room for progress the 24-year has. Verdict: Its 50-50 whether Toro decide to buy out his Pescara contact. I’d definitely not be comfortable with the idea of him starting the season in attack but have seen enough to be a little bit intrigued. Hard to judge only on substitute appearances. Possibly the most controversial of Ventura’s choices in 2012-13 was his persistence in selecting Riccardo Meggiorini. Signed in the second half of Toro’s promotion season, the 27-year old had been far from convincing, netting only four times and appearing largely anonymous. Three goals this season Serie A is a meagre return for striker clocking up over 30 appearances. It’s hardly a surprise, Meggiorini’s goal return in the top-flight is poor. Continually jeered in the first half of the season, his selection seemed baffling beyond belief. His partnership with Rolando Bianchi has never looked convincing and Meggiorini rarely found himself in goalscoring positions. Two goals and a dynamic performance away at Inter in January came out of the blue forcing fans to think he may have turned the corner. What it offered was a revaluation of the player and his importance to Ventura’s tactical system. Meggiorini is essentially fielded as a defensive attacker, pressing the opposition midfield and creating space for the front three. It’s ugly and not always effective but his hounding of Andrea Pirlo in the Turin derby was his œuvre d'art. I’m of the opinion though that Ventura should counter the problem – created by having a continually overrun midfield – by sticking to 3-5-2 or 4-3-3 next season and playing with a more dynamic attack. Meggiorini’s three goals were all magnificently taken, begging the question why he couldn’t do it more often? He is paid as a forward, for which his contribution was minimal. Verdict: One of the players the club needs to replace in order to move forward. The overall impression though is Meggiorini will be staying for next season so the hope must be he’s reserved as a defensive substitute. Another one who should have been offloaded last summer but was given a first chance at Serie A. Eventually sold to Verona, he had the distinction of scoring Toro’s first goal of the season in the win over Pescara. A handful of appearances later, some nice touches but a growing sensation he was out of his depth, Sgrigna was moved on. Will be interesting to see if he features as part of Verona’s Serie A team next year. Verdict: Part of the squad that needs a major overhaul on several levels. The talismanic Bianchi has left which allows Ventura the freedom to field his ‘own men’. A change in formation will also lead to a reflection on the type of forwards required. Of the list above only Barreto seems to have the necessary potential. At least three new forwards required. One of the few players Toro fans would have liked to have seen more of. Arriving from Genoa in the final days of the summer transfer window, the Slovenian took a while to overcome injuries before becoming a regular in the squad in the run up to Christmas. His arrival was something of a gamble. In his first year in Serie A with the Rossoblu, Birsa had failed to show the form that made him a consistent performer in Ligue 1 with Auxerre. The 26-year old is a different style of winger to Santana and Cerci, less mobile but with a crafted left foot and the most accurate crosser on the club’s books. Of the Toro widemen he most suited the aerial game of Rolando Bianchi. While not a classic Ventura player, Birsa provided a quality alternative to the club’s first choice wingers. Verdict: Unlikely to be retained by Genoa, Toro should tie up Birsa’s services for next season. Angelo Ogbonna started the season as Toro’s marquee player, Alessio Cerci finished it. Far and away, the Granata’s most important and decisive player, Cerci’s contribution offered the side a rare slice of quality in the final third. His first few months of the season were relatively uninspiring before a goal against his former club Fiorentina galvanised the Roman and he never looked back. A further seven goals, countless assists and some virtuoso performances inspired Toro to a good run of form in the early months of 2013. His form didn’t drop in the final weeks when all around him seemed to lose energy and motivation. An international call up arrived in the spring as did the predictable interest from the top clubs. Toro must regret not buying out his entire contract from Fiorentina last summer. A bidding war is now set and the pessimist tells me Cairo won’t deliver the funds to secure Cerci’s signing. Much will depend on the player too. His relationship with Ventura is excellent, we’ve seen none of the bad behaviour and indiscipline that characterised his time in Florence and another full season as the main man at Toro – ahead of a World Cup year – could be an attractive proposal. The only negative side to his game were a number of invisible performances against the very top sides, a sign that Toro need more attacking options to take the pressure off their 26-year old winger who became easy to nullify. Verdict: A combination of the player’s motivation and Cairo’s budget will determine whether Cerci stays. Will be very hard to replace. Belgian U-21 international signed from Lierse in January. Has apparently convinced Ventura with his impact in training and performances with the youth team. Would have been given more first-team space had the team secured survival earlier. As it stands, a five-minute substitute appearance in a kamikaze away game at Cagliari is his only first-team action. Verdict: One for the future. The club will evaluate over the summer whether he provides back up in Serie A next year or moves out on loan. Current stories suggest Cairo/Petrachi are making hard work out of completing his signing from Lierse. Former Argentine international with nearly a decade of Serie A football behind him, the 31-year old signed on loan from Napoli was another calculated gamble. Injuries have disrupted his career and rumours from pre-season training suggested his career in Granata may not decoll. They proved untrue. Santana quickly cemented himself as first choice on the left-flank with licence to cut in on his preferred right foot. On his day, direct, tricky and capable of carrying the game to the opposition, there were also too many anonymous performances. Injuries disrupted his season – missing six games – and he tended to look better playing on the break away from home. However, in the attacking third he was one of Toro’s most promising performers. Verdict: His situation is similar to Matteo Brighi’s. Toro have to decide whether to turn a loan move for an early 30 something into a permanent deal. Santana probably deserves the opportunity to continue in Turin although the arrival of younger players is more probable. A mainstay of Ventura’s promotion team where he was the Cerci-figure, a marauding, sometimes genius, often unpredictable outlet on the right flank. His form tailed off at the end of last season and his non-appearance at the club’s promotion party seemed to signal the end of his stay in Turin. During the summer, the club renewed their faith in the young Swiss-born Serbian international who featured in the first ten games of the season. After which just five appearances and none since early March. Goals in away games at Atalanta and Cagliari and a call-up to the Serbian national team offered brief but false dawns. On the field he displayed non of the occasional verve of his performances in Serie B, and long periods out of the team suggest a questionable application in training. Verdict: Of undoubted potential but in danger of seeing his career slide. A loan move either to Serie B or abroad may be the most attractive outlet. The club may wonder whether it would have been better off retaining the interesting Nnamdi Oduamadi last summer. The 20-year old featured only occasionally in Toro’s promotion season and it was something of a surprise he wasn’t loaned out last summer. Featured sporadically before making a welcome loan move to Juve Stabia. Part-owned by Milan, it remains to be seen whether the former star of the Rossoneri Primavera team has shown the credentials to become a Serie A player. Verdict: Like Menga may have pre-season to convince the club he doesn’t need a spell in Serie B. Overall verdict: If Ventura moves to a 3-5-2, wide-men may find themselves surplus to requirements aside from providing tactical flexibility from the bench. If Cerci stays he may switch to play as a seconda punta. Of the others, the future is unclear as none are accustomed to play as wingbacks. One of the interesting young foreign players on Toro’s books. The 19-year old is already a full Montenegrin international and arrived in the summer with a promising reputation. If there has been little fanfare about the young playmaker then there is good reason. He is half-owned by Fiorentina and following the ill-fated experience with a young Kwadwo Asamoah (who went on to fame at Udinese), the feeling is that if Bakic emerges as a player he will soon be wearing a purple shirt. Sat on the bench 18 times before making his first appearance, when he looked a little overwhelmed making his debut at home to Catania. A victim of the club’s inability to secure survival earlier in the season. A frankly strange season for the 26-year old Swiss-born Albania international. Following a timid start and a scattering of appearances, Ventura axed him completely in the New Year following Matteo Brighi’s return to form. Basha spent nine games rooted to the bench before returning to favour and enjoying a positive run-in. The ex-Atalanta man has shown enough this season to warrant a further chance in Serie A. Age is on his side, he is rarely injured and his athleticism and determination are commendable assets. Unlike most of his midfield counterparts, he is occasionally a goal threat. An unglamourous but useful option. Verdict: Under contract until 2015 and his permanence will allow for some stability in a midfield which is due an overhaul. The most talented, experienced and fragile of the Toro midfield. With over 300 Serie A appearances under his belt, Brighi’s arrival last summer offered an inexperienced side some guidance. His season – a little like his career – was interrupted by injuries and the struggle to overcome them. Brighi’s best period of form arrived after the New Year when a series of commanding performances led the side to their best run of the season. This commenced with his goal in the crucial 3-2 win over Siena where his provocative celebration suggested a difficult relationship with Ventura. Verdict: At 32 and on loan from Roma, it is difficult seeing Toro making a financial commitment to a player so unreliable physically. A replacement for Brighi is most likely to come from a fresh loan move. In many ways, a pity. Toro’s 14-month pursuit of Gazzi ended last summer when Ventura was finally reunited with his former Bari soldier. Signed for a sizeable fee from Siena, Gazzi proved to be one of the signings of the season offering some solidity, consistency and quality in a weak and continually rotating midfield. A tough-tackling holding midfielder, his energy galvanised the team in the early part of the season where he showed a surprise ability to get among the goals (against Atalanta and Chievo). During the final weeks of the season, the 30-year old seemed to run out of gas perhaps a sign that next season Ventura needs to balance his resources better. Will be a pleasure seeing him play alongside a genuine regista. Verdict: One of Ventura’s favourite players and the fans too. An unassuming and likeable character and one of the best signings of the Ventura and maybe even Cairo era. A certain starter in 2013-14. The 23-year old Romanian is one of the most vaunted products of the Toro youth team but bad luck with injuries (two cruciate ligament breaks in 2011-12) have disrupted his career. Given 11 minutes of Serie A football against Siena, he was loaned to Juve Stabia to aid is rehabilitation. In Serie B he featured intermittently showing some of the driving midfield play that has encouraged scouts. Verdict: Perhaps needs another full season in Serie B although the club will most likely review his progress in pre-season. One of a clutch of players who I felt didn’t need to be retained at the start of the season. In Ventura’s preferred 4-2-4 formation he has often been a hard player to accommodate. The former Lecce captain lacks the physicality and presence to play in a two-man midfield and when deployed on the left-wing has a tendency to drift into his preferred position of inside left. It was there during the promotion season and when Ventura adopts an occasional 4-3-3 that he plays his best football. Vives has essentially been a squad player who in a midfield bereft of quality has played far more football than he may have expected. Like Masiello, he is a top half of Serie B player, and while he didn’t let the team down there is no major evidence of the quality he brings. Verdict: Rumours link him with Palermo where Toro have negotiations pending. Highly likely to find himself at a progressive Serie B club next year. Overall Verdict: Gazzi will be a mainstay of next year’s team in either a two or three-man midfield. Basha is a reliable back-up. At least three new quality midfielders are needed unless Ventura is ready to gamble on the emergence of Bakic or Suciu. One of the main failings of last summer’s – and indeed winter’s – transfer campaign was the non-signing of a quality left-back. The unconvincing Salvatore Masiello was retained and following the club’s failure to sign Djamel Mesbah from Milan – apparently the only target on Petrachi’s list – two free agents were recruited: former Cagliari man Alessandro Agostini and via La Liga, 28-year old Uruguayan Pablo Caceres. Agostini never played and left for Verona in January, Caceres featured just twice, once during a defensive injury crisis, the second time in the final game of the season. He received a (sympathy) vote of 6 for his performances against Siena and Catania. Ventura never believed in him and despite sitting on the bench for almost every match, Caceres never rocked the boat. A lack of a pre-season and questionable fitness levels proved decisive. One of the players, I tipped for a break-out season. It didn’t quite happen for the 23-year old right back but the foundations have been laid for a stellar 2013-14 campaign. Despite having the equally impressive Danilo D’Ambrosio breathing down his neck, Darmian established himself as Toro’s regular right-back and a favourite of Ventura. Not as impressive going forward as D’Ambrosio nor as dangerous in the opposition box, Darmian is a more grintoso, tactically-sound full-back. At one point in the season he was the player in Europe’s five biggest leagues to have won the most tackles. That aggressive side of his game needs some work as 11 yellow cards and three suspensions testify. Buying out the rest of his contract from Palermo is a key priority. Next season could be his opportunity to force Cesare Prandelli to take a more detailed look. Darmian also has the potential to play at centre-back which could well be his future position, allowing D’Ambrosio to slot in as the permanent right-back. Verdict: One of the crown jewels of the current team. Young, professional and improving. A player the club needs to hang on to. Darmian will benefit from the learning curve and highs and lows of 2012-13. I’m not going to hide it, D’Ambrosio is one of my favourite current Toro players. Now in his fourth season at the club following his arrival from Juve Stabia in 2009, he has rapidly improved under Ventura following a disastrous 2010-11 campaign. The Neapolitan has predominantly alternated between right and left back, although slotted in across midfield as well. The rotation of positions will probably benefit him long-term although his versatility has sometimes cost him a run of games in the same position. D’Ambrosio has always been a threat going forward, very useful in the air and surprisingly adept at delivering a quality ball from the byeline. His partnership with Alessio Cerci also provided one of Toro’s most potent attacking weapons. One of few players 100% owned by the club, the dark cloud is a contract running down in 2014. A future Italian international and potentially club captain in 2013-14. Verdict: Toro need to tie him to a new deal as interest is building. One of the cornerstones for next year’s team although the club have been careless in not already securing his services. Signed in the January 2012 transfer window, Masiello is another member of the Bari clan. Barely featured in the promotion campaign – indeed only once – and due to a piecemeal transfer campaign suddenly found himself as first choice left-back in 2012-13, a position he shared with D’Ambrosio. Naturally left-footed, Masiello’s limitation is that he is neither defensively full-proof nor convincing going forward. Often clumsy in possession, Toro always looked weaker down his flank, something the opposition regularly exploited. Probably enjoyed his best run during the middle of the season but there’s no escaping that if Toro had a better-quality left back, a salto di qualità would have been achieved. Verdict: Out of contract and should probably be released. The top half of Serie B is more his level. Ventura may see him as a back-up left-back in 2013-14. Overall verdict: D’Ambrosio and Darmian to be retained although the club need to move fast to retain their services. Two new left-backs needed. I was highly sceptical about Di Cesare’s ability to adjust to Serie A and despite Ventura’s public faith in the player, a total of 9 appearances – five full matches - suggests the coach had some reservations too. Making his top-flight debut at the age of 29 against Udinese in September, Di Cesare can take comfort from the quality of his performances. A poor display in a collective shambles at home to Milan aside, he didn’t disfigure. An old school defender who can mix composure on the ball with cynical fouls and a peppering of play-acting, Di Cesare is one of the team’s more charismatic figures. His performance in a three-man defence away at Milan demonstrated that in one-off matches he can cut it at this level. Over the course of a season, I have my doubts. Verdict: His contract has another year to run. Likely to be used as bate in the summer transfer market, most probably with Serie B clubs. Potentially will be retained if Ventura moves to a 3-5-2 formation but an uncertain summer lies ahead. The club did their best to offload him last summer. A curva favourite and cutting aside suspensions, a virtual ever-present. Has broken into the Poland team since Euro 2012 and marked his emergence as an international player with a goal against England. Plays the ‘stopper’ in the Toro defence to Ogbonna’s more cultured and composed play. The Pole can be pleased with his season and providing his contractual situation with Palermo is resolved is likely to be a certain starter next season, potentially club captain. The 25-year old had a few moments to forget though, notably sendings off in both Turin derbies and a tendency to give away cheap penalties and lose concentration. A threat in the opposition box, Glik is destined to be an asset to the club and likely to have matured from this season’s experience. The most highly-rated Toro player coming into the season following a stellar promotion campaign and international recognition. Toro resisted offers for their vice-captain in the summer, although the reality is that in the current economic climate no Italian club could meet the market value and Ogbonna has often displayed a reluctance to move abroad. Ventura convinced the 24-year old that a full season in Serie A under his tutelage would benefit his career. A year on, Ogbonna’s economic value has potentially decreased - or at least stalled - and the club seem prepared to cash in. Supporters are often critical of his ‘dissidence’ and friendship with some of the Juventus players, preferring the more grintoso personality of Glik and Rodriguez. Personally, I find the criticism unfair. Ogbonna’s season has been far from disastrous. It started brightly and the team’s poor defensive record in the second half of the season is largely down to his injuries and struggle to regain form afterwards. A horrible performance against Cagliari aside – two penalties conceded and a red card – Ogbonna’s season was simply in line with the team itself. It was surprising Ventura didn’t occasionally deploy Ogbonna at left-back or in midfield during injury crisis’, considering the team’s strength in the centre of defence. Verdict: Noises suggest Ogbonna won’t be at Torino next year. Fans will accept his sale providing the price is good and he doesn’t move across the city. Personally, I will be sad to see him leave although his importance on the team has diminished. As vice-captain he often cut a reluctant leader. Another low-key, uninspiring summer signing. The former Penarol man had just been relegated from Serie A after a brief spell with Cesena. Seemed destined to spend most of the season on the bench but following his debut away at Palermo in week 8, became a regular filling in mainly for the injured Ogbonna. One of the success stories of the season. Committed, strong in the tackle and possessing decent positional sense, the former Uruguayan international – last cap in 2005 – rarely let the side down aside from the occasional exposure to pace (most embarrassingly against a 40-year old Javier Zanetti). A fans’ favourite, doubts remain whether he is a top-quality reserve or deserved starter. Verdict: His contract is rolling down but a two-year option lies on the table. Given the likely departure of Ogbonna, his permanence is advised. Overall verdict: Glik and Rodriguez are likely to be Toro players next season. Ogbonna’s sale will bring in much-needed financial muscle which needs to be invested in the attacking third. Two new centre-backs are required – preferably faster and more ball-playing alternatives to Glik and Rodriguez. Ventura seems keen on a 3-5-2 next season in which case he will need to bring in a ‘libero’ and consider utilising Matteo Darmian at centre-back. Despite a nervy end to the season, Torino finally achieved their aim of avoiding relegation, and will be playing Serie A football next season. In order to review the current campaign, we invited Toro fan Peter Bourne to assess how each member of the squad has fared. Enjoy. The 35-year old rejoined the club in January when Lys Gomis was loaned out to Ascoli. Providing cover for Jean-Francois Gillet, the former Milan man – said to be a key dressing room figure – had been Toro’s number 1 during the promotion season until injury ended his campaign. Given a token run-out in the final game at home to Catania. I was not oversold on his signing – mainly based on height, age, career trajectory and the Bari connection. Like most signings made at the request of Ventura, there was a certain logic. Gillet is good with his feet complementing Ventura’s insistence on building from the back. ‘Il Gatto di Liege’ is also perfectly suited to playing in a team likely to concede chances. Not something to underestimate. When Toro signed the much-lauded Christian Abbiati in 2006, he struggled playing behind a more porous defence. Gillet quickly won me over inspiring confidence in a defence among the league’s best during the first half of the season. A poor performance against Milan aside, his form was excellent. Until the spring. The spate of spectacular long-range goals Toro conceded in the run-in may be a coincidence although my sensation is teams targeted Gillet’s lack of height and sometimes questionable positional play. However, over the course of the season the man earmarked to be Belgium’s third keeper at the 2014 World Cup was one of the Granata’s best performers. Verdict: Gillet’s future at Toro depends on a few factors. If Ventura stays, Gillet will. A cloud is still hanging over him as the next round of the betting scandal verdicts – related to his time at Bari - are expected early in the summer. Money is probably better spent improving other parts of the side. One more season as number 1. Gomis has long been earmarked as the Torino goalkeeper of the future having come through all levels of the club’s youth system. Last summer the club showed confidence in the 23-year old confirming him as Gillet’s understudy despite a temptation to go for more experience. Gomis – born in nearby Cuneo but of Senagalese origin – is a prodigious talent but has less than 30 first team appearances under his belt, a combination of unfruitful loan moves and some character issues. In January, Gomis was given the chance of first team football in Serie B at Ascoli. Having broken into the team injuries disrupted his momentum, although he performed admirably in the final weeks of the season despite the Marche team’s subsequent relegation. He is the oldest of three goalkeeping brothers all on Toro’s books. Verdict: Not ready yet to become a regular Serie A starter. My temptation would be to give Gomis another first-team season in Serie B. All being well, he could be Toro’s number 1 come the summer 2014, providing he shows consistency and maturity. On Sunday night, when Rolando Bianchi walked around the Stadio Olimpico pitch for the final time as a Torino player, it suddenly became difficult to imagine next season without a player who has become synonymous with the club. As an emotional Bianchi said his goodbyes he reiterated that it was not his desire to leave the club, and whilst he did not say so himself, it is obvious that it was the Toro hierarchy and principally chairman Urbano Cairo who decided not to renew his contract - largely for financial reasons. It was in his final post match interview that the Torino captain thanked the club for turning him into a man, and whilst the past five years have not been that successful, it would be difficult to find a Torino fan who was not grateful for Bianchi's contribution to the club. However it was not always this way. After a brief and unsuccessful spell at Manchester City, Bianchi had the opportunity to join Toro on loan in January 2008, however he decided to sign for Serie A rivals Lazio instead. As fate would have it, his debut for the Biancocelesti came against Torino, and he was sent off only five minutes after coming on as a substitute, having received an extremely hostile reception from the Granata fans who felt the striker had rejected their club. However, after Lazio failed to sign Bianchi on a permanent basis, Torino finally got their man as he signed for the club in August 2008 for 7 million euros. But despite his arrival, Toro were relegated from Serie A although the big striker did manage an impressive total of nine league goals despite not always being a regular starter. The following season was undoubtedly Bianchi's most impressive in a Torino shirt as he almost single-handedly dragged the team into the Playoff final by scoring an incredible 26 goals. Brescia, the opponents in that final went to extreme lengths to get try and get him suspended for the second leg, by claiming that he blasphemed during the first leg - a serious offence in Italy. Despite failing in their attempt to get the Torino captain suspended for the crucial second leg, Brescia prevailed on the pitch and won promotion to Serie A meaning that Toro would have to endure another season in Serie B. Despite a dreadful campaign for the Granata as they finished in 8th position, Bianchi had another good season as he was Toro's top scorer with 19 goals - and despite having numerous offers to leave the club, he decided to stay in order to try and get the club promoted to Serie A. This was achieved in the 2011/12 season, although ironically this was statistically Bianchi's worst season in a Torino shirt, as he only managed eight goals all season. However, despite not being a favourite of coach Giampiero Ventura, 'Il Capitano' still finished the most recent season as the club's top scorer - and after scoring a brace against boyhood club Atalanta, he entered the record books as Torino's tenth highest goal scorer of all time. Bianchi ended his Torino career with 77 goals and it is certainly unlikely that this tally will be beaten any time soon. Whatever the future holds for Rolando (a move to Genoa has been heavily rumoured) I honestly wish him the best for the rest of his career - and who knows with football, he could even return to the club and add to his already impressive goal record. Rolando Bianchi had a dream ending to his Torino career, as the Granata captain scored a late equaliser to earn Toro a point in the final game of the season. Giampiero Ventura decided to start with the popular striker on the substitutes bench, although fringe players Ferdinando Coppola, Pablo Caceres and Marko Bakic were all given starts. Alessio Cerci had the first opportunity for the home side, but his curling left footed strike from distance was well saved by Alberto Frison. The former Vicenza goalkeeper was once again forced into action, this time from even further out as he parried Cerci's free kick wide of the goal. However mid-way through the first half it was the away side that took the lead, after a nicely worked goal allowed Lucas Castro to cut the ball back to experienced midfielder Sergio Almiron who made no mistake. A poor mistake by Valerio Di Cesare almost allowed Almiron to score again early in the second half, but the Argentine blazed over the bar. Moments later Rolando Bianchi finally made his way on to the pitch, and there was a nice moment when Angelo Ogbonna handed over the captain armband for the striker to wear it for one final time. And it was Bianchi and fellow substitute Matteo Brighi who were involved in the move for the Granata's equaliser, and the former Roma midfielder found an unmarked Alessio Cerci who slid the ball past Frison with ease. However, Catania regained the lead less then ten minutes later as a misunderstanding between Angelo Ogbonna and Guillermo Rodriguez presented the ball to Gonzalo Bergessio, and the big striker fired the ball past Coppola. But this was to be Bianchi's night, and seconds after hitting the post he was able to score his 77th goal for the club as he turned in Cerci's cross at the near post. It was a fitting ending to an entertaining end of season match, and Torino will certainly find it difficult to replace Bianchi, who despite not always being a regular starter ended the season with eleven league goals. Toro ended the season in 16th place, a satisfactory ending to their first season back in Serie A - although the fact they failed to win any of their last nine matches may be a worry for the next campaign. Torino will face their final Serie A fixture of the season on Sunday evening, hoping to end the campaign with a victory. If results were to go their way, the Granata could still finish as high as 14th - which would be their highest finish for over a decade - so despite being clear of relegation, there should still be some motivation to emerge victorious. However, Giampiero Ventura is expected to use this match as an opportunity to play some of the fringe players in the squad - with Ferdinando Coppola, Marko Bakic, Dolly Menga, Jonathas and Abou Diop all expected to play some part in the game. With Captain Rolando Bianchi almost certain to leave the club when his contract expires in the summer, this should be his last game for the club, and it will give the fans an opportunity to show their thanks to the popular striker. Catania also have something to play for, as they look to hold on to 8th position and that will hopefully lead to an entertaining game to end the season. Torino secured their Serie A status for another season thanks to a 1-1 against mid-table Chievo on Sunday afternoon. Giampiero Ventura kept faith with the 5-3-2 that he has favoured in recent weeks, although surprisingly Valerio Di Cesare was preferred to Kamil Glik in defence. Things started disastrously for Torino as they were behind within ten minutes, after Valerio Di Cesare's untimely slip allowed Cyril Théréau to drill the ball past Gillet. Toro responded brightly and Christian Puggioni made an outstanding double save to deny both Migjen Basha and then Di Cesare in quick succession. However, Torino were awarded a penalty moments later after Dario Dainelli's clumsy foul on Angelo Ogbonna - and Alessio Cerci converted the spot kick to equalise. The Granata almost took the lead soon afterwards, when Vives' excellent through ball put Paulo Barreto through on goal, but after rounding Puggioni, the striker's shot hit the side netting. Toro were continuing to dominate, and Alessio Cerci almost scored again but his left footed curler went wide of the far post. The visitors should have had another penalty in the second half, when Bostjan Cesar blatantly upended Ogbonna in the area, but this time the referee didn't point to the spot. Alessio Cerci and Matteo Brighi both had excellent chances to score a winner for Torino in the closing stages, but they were made to settle for a point - and because of Palermo's defeat at Fiorentina, it ensured that they would maintain their Serie A status. This season has certainly been an odd one for Torino, as apart from the last couple of weeks they were never really involved in a relegation battle, and at one stage, a top 10 finish even seemed possible. However, their poor form towards the end of the season has raised question marks about Giampiero Ventura's long term future at the club. 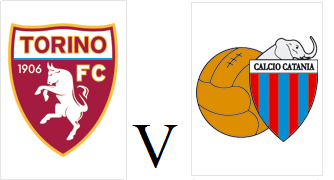 After Wednesday's 'biscotto' against Genoa, Torino will hopefully be looking to provide more entertainment against mid-table Chievo on Sunday afternoon. The Granata would guarantee Serie A football for another season with a victory, although they could even afford to lose this game and still avoid relegation if Palermo fail to beat Fiorentina. Rolando Bianchi and Danilo D'Ambrosio will miss out due to slight injuries, and Valter Birsa who was the one player who stood out against Genoa, could be rewarded with a start. 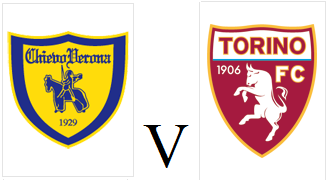 Chievo secured a surprise 1-0 victory over Roma at the Stadio Olimpico in mid week, a result that moved them up to 12th place, although the fact they have failed to score in their last four home games will continue to be a worry.